Quick Guide to School Lunch Choices. All lunches come with fruit, vegetables and milk. Fruits and vegetables are available with all meals. Choose fat-free unflavored or flavored milk or 1% milk unflavored. 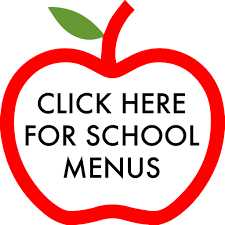 Snacks: In addition to the breakfast and lunch meals offered, a selection of snacks for students is available. All comply with the USDA and CT Healthy Food guidelines. Choices can be yogurt, muffins, string cheese, popcorn, baked chips, frozen desserts or a whole grain cookie. Purchasing snack items is a decision between parent and child. Please discuss this with your child. If you are concerned about the choices your child is making please know that you have the ability to limit their accounts. Let the kitchen manager know or you may call the Food and Nutrition Services office. You can update this information at any time during the year.